The Ardbeg An Oa is the newest release in the core range of Ardbeg, launched in September 2017. It is named after the Mull of Oa, where you can find the American Monument (if you’ve been to Islay, you know what I mean, if not: Google is your friend). The difference with the classic Ten is significant and I do not just mean the lack of age. 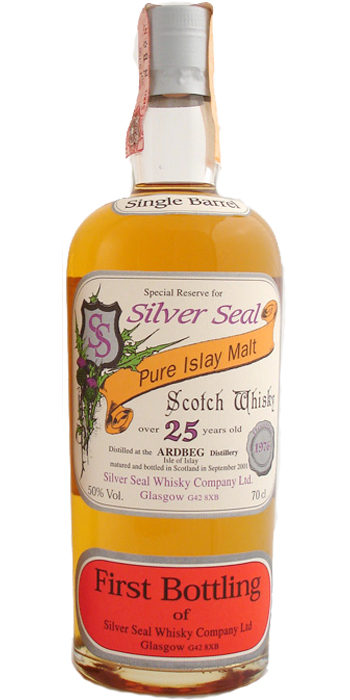 This one matured on a combination of 7 cask types, including virgin oak, PX sherry and 1st fill bourbon casks. Oh, the ABV is odd: 46.6%. I tried it for the first time in the Old Kiln Café at the Ardbeg distillery, but saw that no actual notes were made then. Time to rectify. The nose is surprisingly fresh and playful for an Ardbeg, with lots of vanilla and lime, ginger and cinnamon. Fanta Lemon with some mint, fresh seaweeds and some polished leather. Some smoked mussels and diesel oil. And smoke, obviously. I think it’s quite light (for an Ardbeg, mind you), but just fine all the same. The spices come first, on the palate (ginger, pepper, cardamom) – that must be the virgin oak. It is followed by black tea, sweet lemons and pink grapefruit with a hint of brown sugar. Peat, of course, but also lots of brackish water. In the finish – quite long – everything has to get out of the way for lemons and peppers. Spicier, but less round than the Ten, but still Ardbeg all the way. Probably young, but it doesn’t bother. Just under 60 EUR. A great Ardbeg with sweet peat and a lot of fruits. Engine oil, beautiful peat! Lemon oil, seaweed, ink, sweet barley, roasted corn, very robust burned barley smoke. Thick and oily. Sweet peat, more seaweeds, lemon-pineapple, citrus to tropical fruits. Peat, long, waxes, lemon oil. Fantastic cask had been in the set with several equal Sestante Ardbeg bottlings and this one has clearly won, thanks as well to its great 50%, perfect. Tasting Notes: Nose: This old Ardbeg style shows up immediately! This style is so different from what you find in current bottlings of Ardbeg, which does not mean it's bad. But there is immediately a lot of elegance in the glass, far away from this exaggerated superficial smokiness. Although this is also smoky, but the phenolic notes are wonderfully integrated and not as intense as expected. In addition to seaweed, a little lighted match, but which lays down quickly. Then fine sherry (? ), Caramel, malt, barbecue sauce, forest floor, campfire and fine wood. Everything is very harmonious and evenly connected. Mouth: Sweet, salty, surprisingly mild and light on the palate, and blindly I would have estimated the alcohol content at most 46% vol. He has clear iodine, sweet herbal sweets and also a wonderfully fresh citrus note, which vitalizes the malt very nice. The smoke is also beautifully integrated in the taste and again rather moderate in its intensity, even if it soon shows slightly ashy tones. Finish: Medium long, still sweet, barely smoky, but ashen with delicate herbal notes.